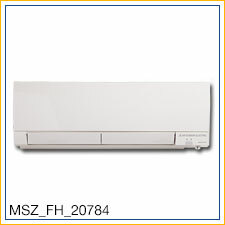 The MSZ-FH new sleek design offers many new features including new multi-functional wireless remote controller. 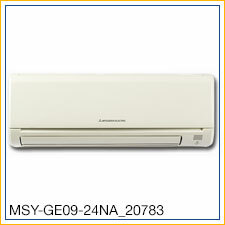 Other features include, triple-action filtration including anti-allergen enzyme filter, double-vane air delivery for enhanced circulation, and the i-see Sensor 3D senses human heat signatures. Slim, wall-mounted units provide individual room control in a variety of applications. 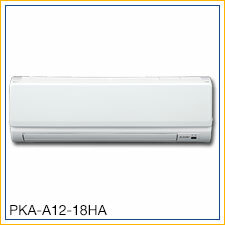 Other features include, wide angle of airflow, 150 degrees from left to right, quiet operation as low as 19dB(A), and provides cooling and heating in a wide range of capacities. 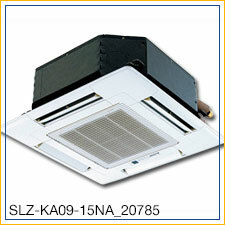 Ceiling-recessed indoor units offer a wide airflow pattern for better air distribution. 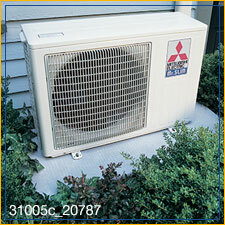 Other features include ventilation air knockouts, and built-in condensate lift mechanisms (up to 20”). 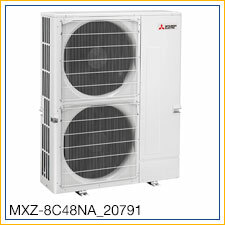 With the MXZ-B multi-zone system our customers can enjoy ideal levels of comfort in the rooms you use most while reducing their energy costs. Each zone operates independently. 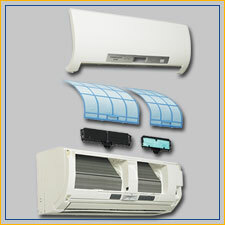 Other features include, mix and match flexibility of indoor unit styles and combinations, a wide range of indoor capacities that match the room size and requirements, high efficiency, multiple ENERGY STAR combinations, simple, quick, and cost-effective installation, and wired and wireless control options. 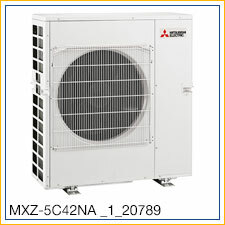 Introducing the Mitsubishi Electric MXZ-8B48NA eight-zone unit, being a member of the MXZ-B Series of multi-zone systems, the MXZ-8B outdoor unit incorporates branch boxes to connect up to eight indoor units. 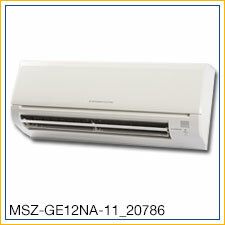 Some general features include, a wide variety of indoor unit styles, including wall-mounted, floor-standing, ceiling cassette, and ducted. Other features also include, individual control up to eight zones using wired or wireless controls, advanced microprocessor control, and auto restart following a power outage. 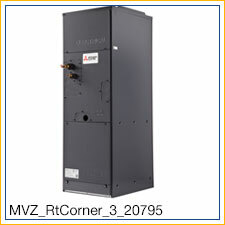 The MVZ Multi-position Air Handler is the latest addition to the family of Diamond Comfort Systems from Mitsubishi Electric Cooling & Heating. 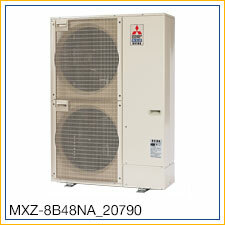 This system allows you to replace traditional HVAC furnaces with no need for new ductwork. 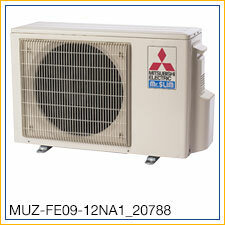 The MVZ works with existing ducts to more efficiently cool and heat entire floors. 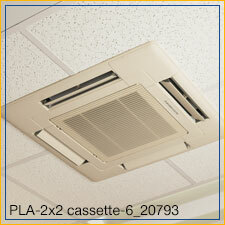 And with its sleek design, it can fit into any attic, closet or even the most cramped equipment space. But, that’s just the beginning. 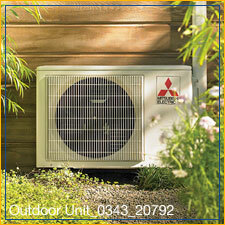 It also gives you the flexibility to add single-room zones.